We are pleased to announce that Breakstone, White & Gluck and our attorneys have been recognized by Super Lawyers for the 15th year. Super Lawyers is a rating service of outstanding lawyers who have attained a high-degree of peer recognition and professional achievement. Lawyers are rated nationwide, across 70 practice areas, with just a select number recognized. In 2018, our lawyers have been named to a number of Super Lawyers lists, including the 2018 Top New England Super Lawyers, 2018 Top 100 Massachusetts Super Lawyers and 2018 Massachusetts Super Lawyers in personal injury and medical malpractice, and the 2018 Rising Stars list. Marc L. Breakstone has been selected to the Top 100 New England Super Lawyers, Top 100 Massachusetts Super Lawyers and to the 2018 Massachusetts Super Lawyers list, recognized as a top-rated medical malpractice attorney in Boston. David W. White has been selected to the 2018 Massachusetts Super Lawyers list, recognized as a top-rated personal injury attorney in Boston. Ronald E. Gluck has been selected to the 2018 Massachusetts Super Lawyers list, recognized as a top-rated personal injury attorney in Boston. Reza Breakstone has been selected to the 2018 Massachusetts Rising Stars list. Marc L. Breakstone, David W. White and Ronald E. Gluck founded the law firm of Breakstone, White & Gluck in Boston in 1992. 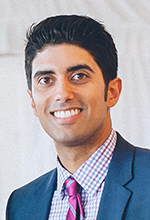 Reza Breakstone joined the firm as an associate in 2015. At Breakstone, White & Gluck, our Boston personal injury lawyers fight for justice for those who have been seriously injured or killed by the negligence and wrongdoing of others. Our lawyers have won numerous record-setting verdicts and settlements. We specialize in cases involving personal injury, medical malpractice, wrongful death, traumatic brain injuries and motor vehicle crashes. Read more. The 2018 New England Super Lawyers listings, just released, are meant to serve as a resource to help those searching for attorneys and are available for free online. Most years, they are published in Boston Magazine. When you visit a law firm’s website, you can also look for the Super Lawyers badge to see if a lawyer has been rated. Super Lawyers, a Thomson Reuters business, recognizes the top 5 percent of lawyers across the state, along with a Rising Stars list highlighting the top lawyers under 40 years old (or the top 2.5 percent statewide). Lawyers are rated through a multiphase selection process, including a statewide survey of lawyers, independent research evaluation and peer reviews by other top-rated attorneys in a practice area. The peer reviews are what make the Super Lawyers listings so valuable to consumers and other attorneys. When you call a lawyer rated by Super Lawyers, you can trust other highly experienced lawyers have already reviewed the lawyer’s skills and experience in their specialty. Breakstone, White & Gluck is pleased to announce that Marc L. Breakstone, David W. White and Ronald E. Gluck have been selected to the 2017 Massachusetts Super Lawyers list. Our attorneys were recognized for their work for clients in personal injury and medical malpractice cases. We are proud to share this news. It marks the 14th year they have been selected to the list, which only recognizes the top 5 percent of attorneys in the state. The Super Lawyers selection process evaluates attorneys based on 12 areas, including verdicts and settlements, experience, honors and awards, bar and professional activity, pro bono and community service and other achievements. The selection process includes input from the Super Lawyers research department and peer review from other attorneys. Attorney Marc L. Breakstone has been recognized to the Top 100 New England Super Lawyers and Top 100 Massachusetts Super Lawyers lists numerous times over his career. He was recognized on the 2017 Massachusetts Super Lawyers list as a top rated medical malpractice attorney, an honor he has received each year since 2004. His settlements and verdicts include a $10.2 million settlement for an infant who suffered severe injuries due to ambulance negligence and $7.5 million for a family who lost a loved one in a propane gas explosion at a construction site. He also won a $7.1 million award for a pedestrian who was hit by an MBTA bus. Attorney Breakstone, a graduate of Northeastern University School of Law, has practiced in Boston for more than 30 years. Attorney David W. White has been selected as a Top 100 New England Super Lawyer, a Top 100 Massachusetts Super Lawyer and Massachusetts Super Lawyer numerous times over his career. He was recognized on the 2017 Massachusetts Super Lawyers list as a top rated personal injury attorney. A past president of the Massachusetts Bar Association, Attorney White has practiced law in Boston for almost 35 years. A graduate of Northeastern University School of Law, Attorney White has been recognized for his work on personal injury cases, as well as in insurance law. Attorney White’s settlements and verdicts include $4.35 million for a construction accident victim and $2.5 million for a client who suffered severe burns due to a homeowner’s negligence. Attorney Ronald E. Gluck is an accomplished, widely respected and results-driven lawyer who has obtained multi-million dollar awards for his clients in a range of serious personal injury cases for over 35 years. Each year since 2005, Mr. Gluck has been named a top rated personal injury “Super Lawyer” in Massachusetts. 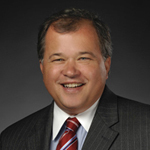 His career has focused on cases ranging from those involving pedestrians, bicyclists and motorcyclists injured or killed by the negligence of others to disasters involving train crashes, truck accidents and medical malpractice causing wrongful death, traumatic brain injury and severe orthopedic injury. Attorney Gluck’s approach is to get the best results in the most efficient and effective manner for his clients while making sure that the responsible party is held accountable for their negligence. Following the attacks of 9-11, Mr. Gluck donated his time and expertise to represent the family of a young professional who was killed while a passenger aboard the American Airlines plane that crashed into the World Trade Center. Awards and settlements for Mr. Gluck’s clients include a $3.75 million award to a motorcyclist who suffered brain injuries; $2.5 million to a businessman who suffered spinal injuries in an 18-wheel truck crash; $2 million to the family of a child with mental health disabilities who died as a result of medical negligence, and a confidential settlement to the family of a physician who was hit and killed by a truck while she was riding a bicycle. Mr. Gluck is widely known and respected for his technical legal skills as well as his compassion and professionalism. In 2017, Breakstone, White & Gluck celebrated our 25th year of serving clients who have been injured in personal injury, car accident and medical malpractice cases. We represent clients in Boston, Cambridge, Somerville, Quincy and across Massachusetts. If you have been injured by someone else’s negligence, learn your legal rights. Contact us for a free legal consultation at 800-379-1244 or 617-723-7676. You can also send us a message using our contact form. Congratulations to Attorney Breakstone who was named a Top 100 New England Super Lawyer and a Top 100 Massachusetts Super Lawyer for 2016. Attorney Breakstone specializes in representing plaintiffs in medical malpractice and personal injury cases and has practiced in Boston for 30 years. For the 13th year, Attorney Breakstone was also recognized as as a Massachusetts Super Lawyer in the area of medical malpractice for plaintiffs (2004-2016). This is his 10th year on the Top 100 Massachusetts Super Lawyers list. He was selected as a Top 100 New England Super Lawyer for the fifth time. Congratulations to Attorney David W. White, who was named a 2016 Massachusetts Super Lawyer in the area of personal injury, plaintiff representation. This is the 13th year he has been recognized for excellence among Massachusetts and New England lawyers. Attorney White has been selected to the Top 100 New England Super Lawyers list three times and to the Top 100 Massachusetts Super Lawyers list seven times. Attorney White is a past president of the Massachusetts Bar Association and has practiced law in Boston for over 30 years. He has distinguished himself for his advocacy on behalf of his clients and his leadership among Massachusetts lawyers. Attorney White represents clients in all types of personal injury and insurance cases, including bicycle accidents, pedestrian accidents, motor vehicle accidents, product liability and dog bite cases. Congratulations to Attorney Ronald E. Gluck, who was named a 2016 Massachusetts Super Lawyer in the area of personal injury, plaintiff representation. Attorney Gluck has been consistently recognized for excellence by Super Lawyers for 11 years. Attorney Gluck has practiced law in Boston for over 35 years and specializes in handling cases involving pedestrian accidents, bicycle accidents, motor vehicle accidents and motorcycle accidents. Super Lawyers is a multiphase selection process which rates attorneys in every state. The top 5 percent of attorneys are selected to Super Lawyers lists. How the process works: Peer nominations and evaluations are combined with independent research by Super Lawyers, which is part of the Thomson Reuters company. Lawyers are evaluated on 12 indicators of peer recognition and professional achievement on an annual, state-by-state basis. The company’s objective is to create a credible, comprehensive and diverse listing of outstanding attorneys which can be used as a resource for other attorneys and consumers searching for legal counsel. Our partners, Marc L. Breakstone, David W. White and Ronald E. Gluck, have been selected to various 2015 Massachusetts Super Lawyers lists, for their work in the practice areas of personal injury and medical malpractice. We are pleased to announce this honor. This is the 12th year in a row our attorneys have been selected to various Super Lawyers lists, a recognition of excellence. Super Lawyers, part of the Thomson Reuters company, makes annual selections using a multi-phase process of peer nominations, independent research and attorney evaluations. It only recognizes 5 percent of attorneys in each state. Attorney Breakstone was selected for these 2015 lists: Top 100 Massachusetts Super Lawyers and Massachusetts Super Lawyers, Top Rated Medical Malpractice Attorney. Attorney Breakstone has established a reputation as one of the top medical malpractice and personal injury lawyers in Massachusetts and New England. He has been selected to the Massachusetts Super Lawyers list for medical malpractice 12 years in a row, to the Top 100 Massachusetts Super Lawyers list nine times and to the Top 100 New England Super Lawyers list four times. 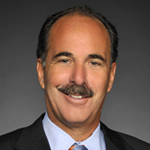 A graduate of Northeastern University School of Law, Attorney Breakstone has been practicing in Boston since 1986. He has represented clients who have been seriously injured by negligence, including in cases of wrongful death, medical malpractice, bus and truck accidents and propane gas explosions. Read his bio. Attorney White was selected for these 2015 lists: Top 100 Massachusetts Super Lawyers and Massachusetts Super Lawyers, Top Rated Personal Injury – Plaintiff Attorney. Attorney White is a Northeastern University School of Law graduate and has 30 years of experience representing victims of personal injury and insurance bad faith cases in Massachusetts. He is a past president of the Massachusetts Bar Association. Attorney White has been named to the Massachusetts Super Lawyers list 12 years in a row. He has been included in the Top 100 Massachusetts Super Lawyers list seven times. He has also been named to the Top 100 New England Super Lawyers list three times. White represents clients who have been seriously injured by car accidents, bicycle accidents, dog bites, product liability, construction accidents and other personal injury claims. Read his bio. Attorney Gluck was named to these 2015 lists: Massachusetts Super Lawyers, Top Rated Personal Injury Attorney – Plaintiff Attorney and New England Super Lawyers, Personal Injury Attorney – Plaintiff Attorney. Attorney Gluck has consistently been named to the Massachusetts Super Lawyers list each year since 2005. He is a graduate of Boston College and Case Western Reserve University School of Law. Over his career, he has represented clients who have been seriously injured in complex cases involving wrongful death, car and trucking accidents, bicycle accidents, motorcycle accidents, liquor liability and product liability. After 9-11, he represented victims of the World Trade Center attacks. He has also served as an expert witness on behalf of the United States Justice Department. Read his bio. We are pleased to announce our attorneys have been selected as Super Lawyers for 2014. This is the 11th year they have been recognized as among the best in Massachusetts and New England. Our partners, Marc L. Breakstone, David W. White and Ronald E. Gluck, have been selected to various lists, including the Top 100 New England Super Lawyers, Top 100 Massachusetts Super Lawyers, New England Super Lawyers and Massachusetts Super Lawyers. Our associate, Samuel A. Segal, has been selected to Massachusetts Super Lawyers Rising Stars, for the second consecutive year. Super Lawyers is a national rating service of outstanding lawyers from more than 70 practice areas who have attained a high-degree of peer recognition and professional achievement. The selection process includes independent research, peer nominations and peer evaluations. The top 5 percent of attorneys in each state are selected. The Super Lawyers list will be published in November’s edition of Boston Magazine. Breakstone has also been named a Top 100 New England Super Lawyer four times, in 2009, 2011, 2012 and 2013. It is the eighth year he has been recognized to the Top 100 Massachusetts Super Lawyers and his 11th year as a Massachusetts and New England Super Lawyer in the category of plaintiff’s medical malpractice. Breakstone has established a reputation as one of the top medical malpractice and personal injury lawyers in Massachusetts and New England. For over 25 years, he has represented clients who have been seriously injured by negligence in cases involving wrongful death, construction accidents, gas explosions and transportation and truck accidents. He is a graduate of Northeastern University School of Law. White, a past president of the Massachusetts Bar Association, has been named to the Top 100 New England Super Lawyers list three times and the Top 100 Massachusetts Super Lawyers list six times. He has been recognized on the Massachusetts Super Lawyers list in the personal injury category for 11 years. White has practiced law in Boston for over 25 years and specializes in personal injury cases, representing clients seriously injured in bicycle accidents, car accidents, construction accidents and those injured in product liability and premises liability cases. He is a graduate of Northeastern University School of Law. Gluck, who represented victims of the 9-11 attacks, has been selected to the Massachusetts Super Lawyers list for 10 years and New England Super Lawyers for 8 years. He has represented seriously injured clients for over 30 years in cases involving wrongful death, car and truck accidents, motorcycle accidents, liquor liability, premises liability and product liability. He is a graduate of Case Western Reserve University School of Law. Segal handles personal injury cases in all areas of the firm’s practice, including medical malpractice, premises liability, car accidents and construction accident claims. He is a graduate of Northeastern University School of Law. The Rising Stars list recognizes the top 2.5 percent of lawyers in the state who are either 40 years old or younger or who have been in practice for 10 years or less. We are pleased to announce our lawyers have been honored as Super Lawyers for 2013. 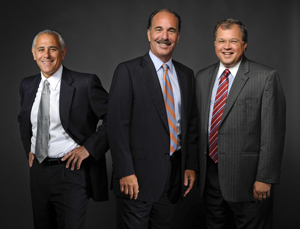 Partners Marc L. Breakstone, David W. White and Ronald E. Gluck were selected for inclusion to the Massachusetts Super Lawyers for 2013 list. Associate Samuel A. Segal was also selected to Massachusetts Super Lawyers Rising Stars for 2013. The honors will be printed in a supplement of November’s edition of Boston Magazine. Breakstone, White & Gluck’s lawyers have been recognized by Super Lawyers for 10 years, first in 2004. Super Lawyers is a publication of Thomson Reuters. It rates lawyers across the country and recognizes no more than the top 5 percent of lawyers in each state. Attorneys are selected using a rigorous, multiphase process that includes independent research, peer nominations and peer evaluations. Rising Stars uses the same selection process, except candidates must be 40 years old or younger or in practice for 10 years or less. Only 2.5 percent of lawyers in each state are recognized as Rising Stars. Attorney Marc L. Breakstone was selected as one of the Top 100 New England Super Lawyers for 2013, a Top 100 Massachusetts Super Lawyer for 2013 and a Massachusetts Super Lawyer for 2013. This is Breakstone’s fourth time being selected as a Top 100 New England Super Lawyer. He has been selected to the Top 100 Massachusetts Super Lawyer seven times and a Massachusetts Super Lawyer for ten years. Breakstone, a graduate of Northeastern University School of Law, has been practicing law in Boston for over 25 years and specializes in personal injury cases involving wrongful death, medical malpractice, gas explosions, construction accidents and transportation accidents. Read more about Marc. Attorney David W. White was selected as a Top 100 Massachusetts Super Lawyer for 2013 and a Massachusetts Super Lawyer for 2013. It is White’s fifth time on the Top 100 Massachusetts Super Lawyer list and tenth year on the Massachusetts Super Lawyers list. He has also been named to the Top 100 New England Super Lawyers list twice. White, a graduate of the Northeastern University School of Law, is a past president of the Massachusetts Bar Association and has been practicing law in Boston for over 25 years. He specializes in personal injury, wrongful death, insurance bad faith, bicycle accident and motor vehicle accident claims. Read more about David. Attorney Ronald E. Gluck was selected as a Massachusetts Super Lawyer for 2013 for the ninth year and a New England Super Lawyer for the seventh time. Gluck has been practicing law in Boston for over 30 years and serves on the Board of Governors for the Massachusetts Academy of Trial Attorneys. Gluck specializes in personal injury cases involving wrongful death, car accidents, head injuries, motorcycle accidents, liquor law liability, premises liability, defective medical devices and pharmaceutical product liability. He is a graduate of Case Western Reserve University School of Law. Read more about Ron. Attorney Samuel A. Segal was selected as a Massachusetts Super Lawyer Rising Star for 2013. 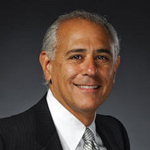 Segal joined Breakstone, White & Gluck as an associate in early 2010 and has handled cases involving personal injury, auto accidents, dog bites, gas explosions and medical malpractice. Segal is an active member of the Young Lawyers Division of the Massachusetts Bar Association and volunteers as an attorney-coach for the Cambridge Rindge and Latin School Mock Trial Team in Cambridge. He is a graduate of Northeastern University School of Law. Breakstone, White & Gluck announces its lawyers have been recognized as 2012 Super Lawyers. It is the ninth consecutive year the firm’s lawyers have been honored. Attorney Breakstone has been recognized as one of the Top 100 New England Super Lawyers 2012, one of the Top 100 Massachusetts Super Lawyers 2012 and a Massachusetts Super Lawyer in the category of Personal Injury Plaintiff: Medical Malpractice. This is the third time attorney Breakstone has been named a Top 100 New England Super Lawyer, his sixth year as a Top 100 Massachusetts Super Lawyer and his ninth as a Massachusetts Super Lawyer. Breakstone also holds an AV rating with Martindale Hubbell (the highest professional and ethical ranking) and has consistently maintained a “Superb”10.0 rating on AVVO. Attorney Breakstone is a graduate of Northeastern University School of Law and specializes in personal injury and medical malpractice cases. Click here to read his bio. Attorney David W. White has been recognized as a 2012 Massachusetts Super Lawyer, Personal Injury Plaintiff: General. It is his ninth consecutive year on the list. Attorney White has also been named to the Top 100 Massachusetts Super Lawyers list four times and to the Top 100 New England Super Lawyers list twice. White also holds an AV rating with Martindale Hubbell (the highest professional and ethical ranking) and has consistently maintained a “Superb”10.0 rating on AVVO. He is a graduate of Northeastern University School of Law and specializes in personal injury, medical malpractice and bicycle accident cases. Click here to read his bio. Attorney Ronald E. Gluck has been named a 2012 Massachusetts Super Lawyer, Personal Injury Plaintiff: General. He was selected to the list for the eighth consecutive year. He was also selected to the list of New England Super Lawyers for the sixth year in a row. Attorney Gluck specializes in catastrophic personal injury cases involving car accidents, construction accidents and medical device and pharmaceutical product liability. Gluck has an AV rating with Martindale Hubbell (the highest professional and ethical ranking) and has consistently maintained a “Superb”10.0 rating on AVVO. He is a graduate of the Case Western Reserve University School of Law. Click here to read his bio. The Super Lawyers list recognizes the top 5 percent of lawyers in the state. Super Lawyers selects attorneys using a rigorous, multiphase process that includes peer nominations and evaluations and independent research. Each candidate is evaluated on 12 indicators of peer recognition and professional achievement. The object is to create a credible, comprehensive and diverse listing of outstanding attorneys that can be used as a resource for attorneys and consumers to find the best lawyer for their case. The New England Super Lawyers list is published each fall as a print supplement to Boston Magazine. Breakstone, White & Gluck announces its lawyers have been recognized as 2011 Super Lawyers by Boston Magazine. It is the eighth consecutive year the firm’s lawyers have been honored. Attorney Marc L. Breakstone has been selected as one of the Top 100 New England Super Lawyers for 2011 and one of the Top 100 Massachusetts Super Lawyers for 2011. This is the second time Attorney Breakstone has been selected as one of the Top 100 New England Super Lawyers and the fifth time he has been selected one of the Top 100 Massachusetts Super Lawyers. In addition, Attorney Breakstone has been named a 2011 Massachusetts Super Lawyer for the seventh year in a row. Attorney Breakstone is a graduate of Northeastern University School of Law and specializes in personal injury and medical malpractice cases. Click here to read his bio. Attorney Ronald E. Gluck has been named a 2011 Massachusetts Super Lawyer. He was selected to the list for the seventh consecutive year. He was also selected to the list of New England Super Lawyers for the fifth year in a row. Attorney Gluck specializes in catastrophic personal injury cases stemming from automobile accidents, public transportation disasters, construction accidents and medical device and pharmaceutical product liability. He is a graduate of the Case Western Reserve University School of Law. Click here to read his bio. Attorney David W. White has been named a 2011 Massachusetts Super Lawyer. He has been selected for the list each year since 2004. He has also been selected twice to the list of Top 100 New England Super Lawyers and four times to the list of Top 100 Massachusetts Super Lawyers. Attorney White is a graduate of Northeastern University School of Law and specializes in personal injury, medical malpractice and bicycle accident cases. Click here to read his bio. Breakstone, White & Gluck, PC, is a Boston law firm which represents injured plaintiffs in personal injury and medical malpractice cases. The firm has established a reputation as one of the top Massachusetts personal injury law firms. Notable cases include the case against a surgeon who left a patient on the operating table to cash a check, and several multi-million dollar cases arising from medical malpractice, EMT malpractice and motor vehicle accidents. Super Lawyers selects attorneys using a rigorous, multiphase process that includes peer nominations and evaluations and independent research. Each candidate is evaluated on 12 indicators of peer recognition and professional achievement. The object is to create a credible, comprehensive and diverse listing of outstanding attorneys that can be used as a resource for attorneys and consumers searching for counsel. Tagged: "Boston personal injury law firm", "Massachusetts personal injury lawyers" and "Super Lawyers"
For the fifth year in a row, all of the lawyers in our Boston law firm have earned top rankings as Super Lawyers in New England. The rankings of the best attorneys in the region were posted in the New England edition of Super Lawyers 2009, published by Boston Magazine. Marc L. Breakstone earned recognition as one of New England’s top 100 lawyers, and again as a Super Lawyer in representing plaintiffs in medical malpractice cases. Ronald E. Gluck was again recognized as a Super Lawyer for his achievement as one of New England’s top plaintiff’s personal injury lawyers.